Two weeks ago I toured the Port of Tacoma in Washington State during the annual conference of the Society for the History of Technology. 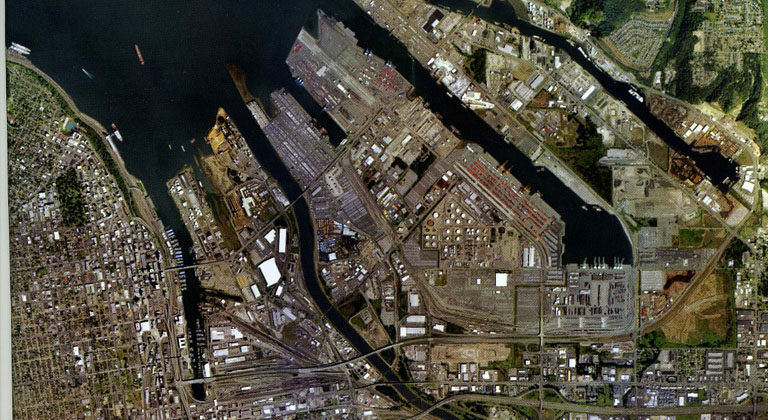 Tacoma is one of the top ten container ports in the United States, but it also handles specialized cargo and cars. 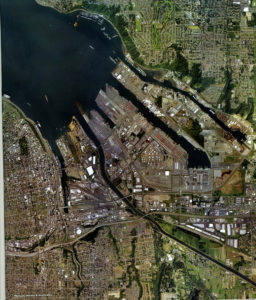 Commencement Bay, which is a deep-water harbor in southern Puget Sound, provides an ideal site for Pacific Rim trade. 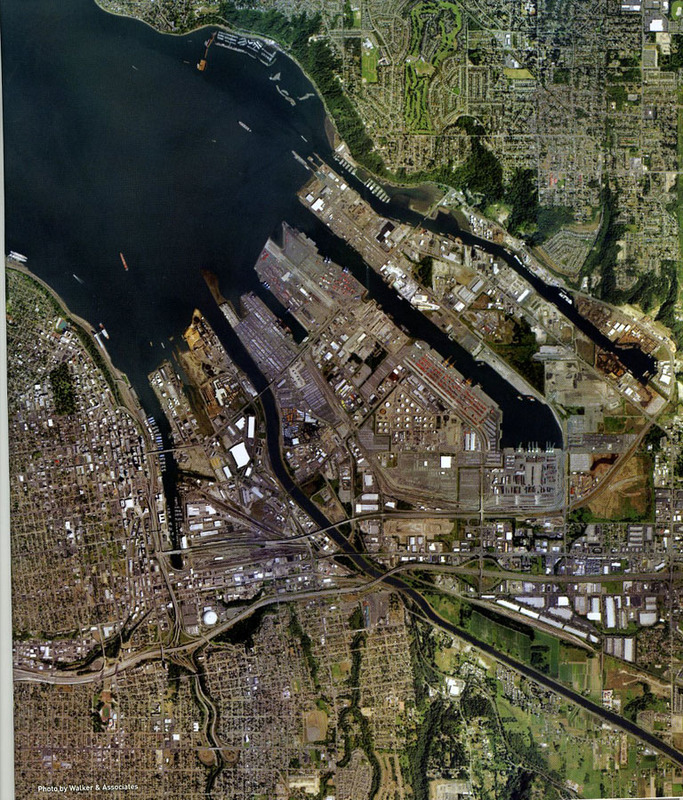 The Port covers 2725 acres, with five waterways, including the channelized Puyallup River. 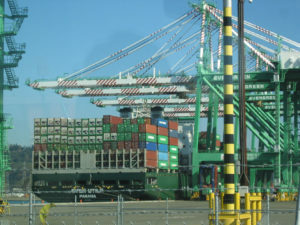 According to the PR, “more than 70 percent of all waterborne commerce shipped from the lower 48 states to Alaska crosses Port of Tacoma docks.” The stevedores and longshoremen are all computer geeks now, tracking each container through complex systems and ships, ensuring just-in-time delivery as much as possible, to minimize storage and transportation costs. There is clearly a lot going on here, even in the economic downturn. The shipping and railroad buff in me was delighted; otherwise I felt stunned at the literal size of global capitalism in action.